Viknesh Vijayenthiran April 2, 2018 Comment Now! 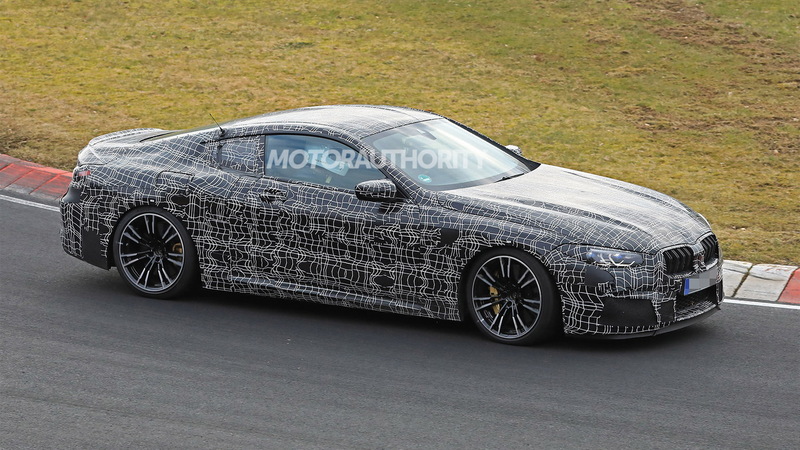 There’s a new 8-Series coming, and this time around BMW M will launch its own high-performance version of the car: the M8. BMW first rolled out a prototype for the M8 during the 2017 M Festival held at the Nürburgring. The automaker has also rolled out an M8 Gran Coupe concept and M8 race car in the time since. The latter competes in the United SportsCar Championship and World Endurance Championship and will race in the 24 Hours of Le Mans. We now have new photos and video of some M8 prototypes testing at the 'Ring. 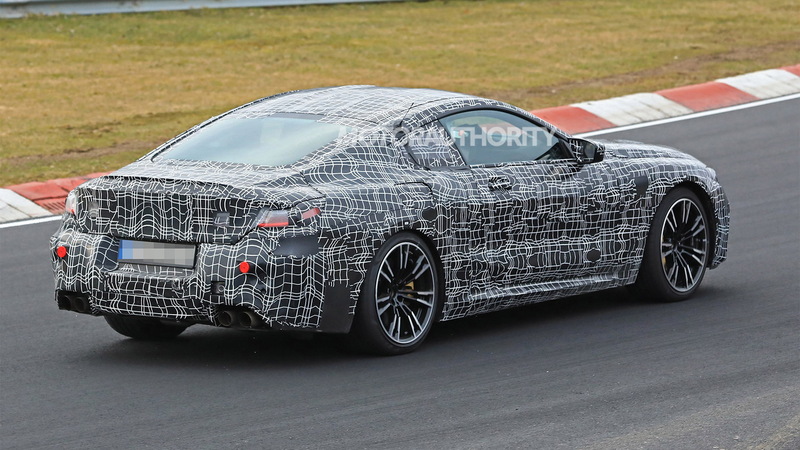 The car looks like the earlier prototypes we saw for the regular 8-Series though there are a few differences. The headlights are now exposed and beneath these are much larger intakes. Openings on the flanks hint at a vertical vent on the trailing edge of the front fenders, while at the rear are the M division’s signature quad-pipe arrangement for the exhaust tips. A peek inside reveals a layout that closely follows the design previewed in the 8-Series concept unveiled at the 2017 Concorso d’Eleganza Villa d’Este in Italy. 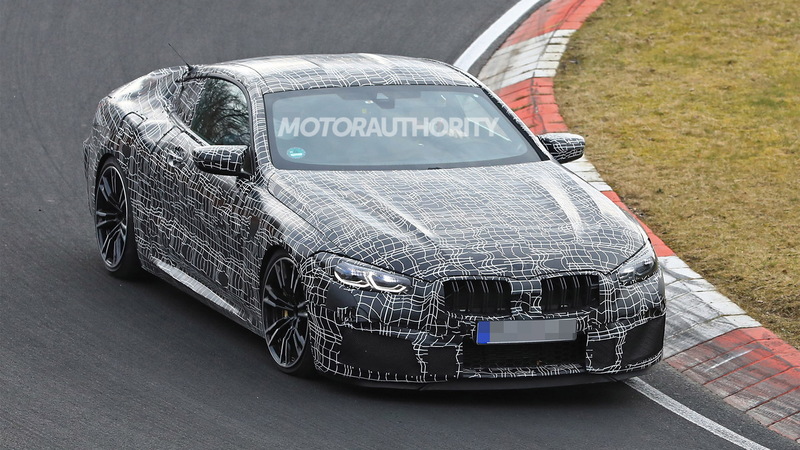 BMW M hasn’t revealed any of the M8’s specs though we know the car rides on a version of the CLAR modular platform that debuted in the 2016 7-Series. Under the hood and mounted close to the firewall should be the reworked 4.4-liter twin-turbocharged V-8 that debuted in the 2018 M5. The prototype sounded very mean at its M Festival debut. Expect the engine to be paired with an 8-speed automatic and the M division’s new M xDrive all-wheel-drive system. 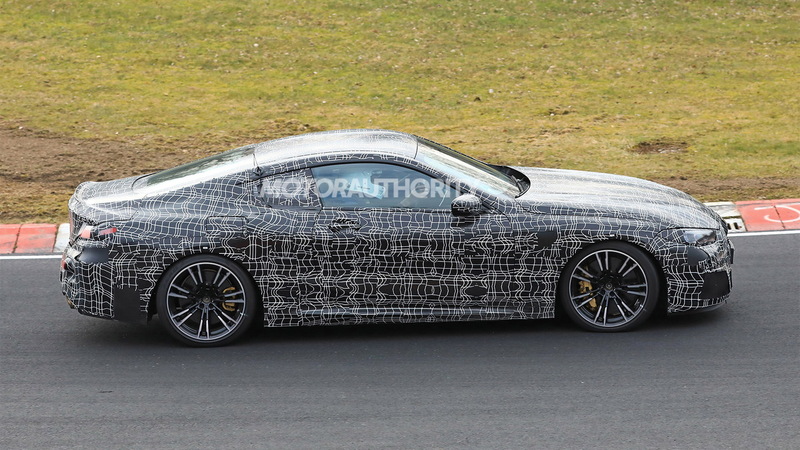 BMW will unveil its new 8-Series in 2018. 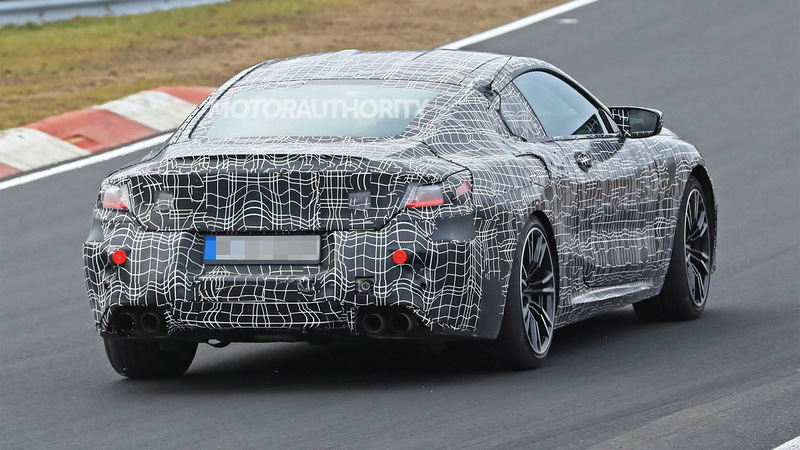 The M8 should follow shortly after followed by an M8 Convertible and M8 Gran Coupe. The latter is confirmed for an arrival in 2019. The original 8-Series sold in the 1990s was meant to have its own M8 version too. A prototype featuring a 6.0-liter V-12 was built though the project was canned at the last minute due to low expected demand. The car’s engine lived on, however, in McLaren’s F1 supercar.